Attached is an ad for a 1974 Kelmark GT. It is a VW kit car made in the 70s and the closest most of us will get to a being in the market for a Ferrari 246 Dino, and this is a darned good visual interpretation of one. There is a good run-down in Wikipedia about these and the Kelmark projects that followed. Did you know that the windshield was from a Pinto and the window glass was inverted Chevy Impala rear windows? That is some MacGyver stuff, right there. Getting a production run of auto glass must be no small undertaking. 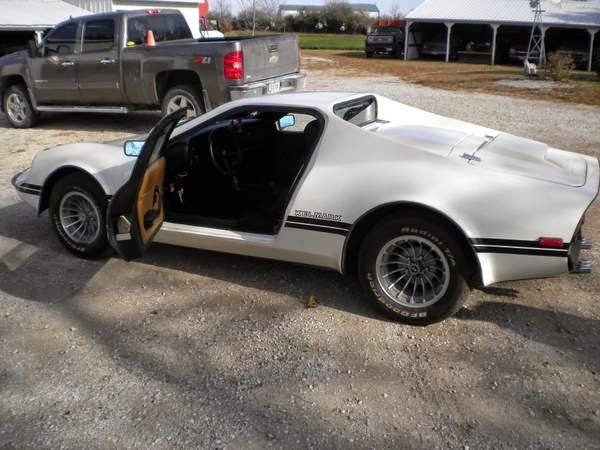 Also, I was unaware that a later version with a Olds Toronado 455 and transaxle broke 200 MPH. Kind of doubt they left the front end all VW for that attempt, but it does say something about the aerodynamics of the body. The featured car would be a great start for any number of drivetrain options. You could pick from myriad suppliers to make the existing boxer motor worthy of the Dino looks. Also, Kennedy Engineered Products makes adapter kits to put anything from a Mazda Rotary to a Taurus SHO V6 to a V10 in a Bug, so you should theoretically be able do the same with this car. 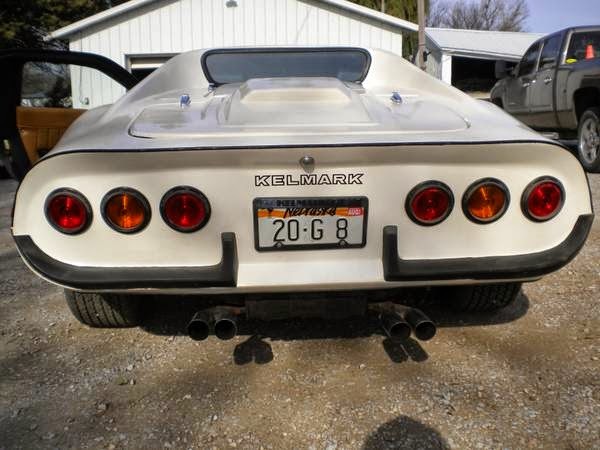 Here is a link to the original and another Kelmark GT just to get a better view of the front. I remember seeing the Corvette based Kelmarks and thinking that it was a surprisingly attractive kit car, but this thing is just pretty. It's VW origins make me wonder just how easy it would be to put a Subaru Ej something or another in there. Man. If AMC had 100 bucks for every other car that ended up using their door handle assemblies they might still be in business. This is possibly the most-least-cringy vw kit I've ever seen. I'd take it. The door handles are not AMC. They come from a Triumph TR7 or TR8. I have both a Kelmark GT and SEVERAL AMC Eagles. The handles are similar but no way are they the same. Only two things bug me about this Kelmark kit car, which is a huge achievement for a VW based fiberglass anything. 1) the AMC door handles (replace those with some nice chrome or stainless pull-style w/ button), and 2) the width of the A and B pillars (which could be thinned down I'm sure. 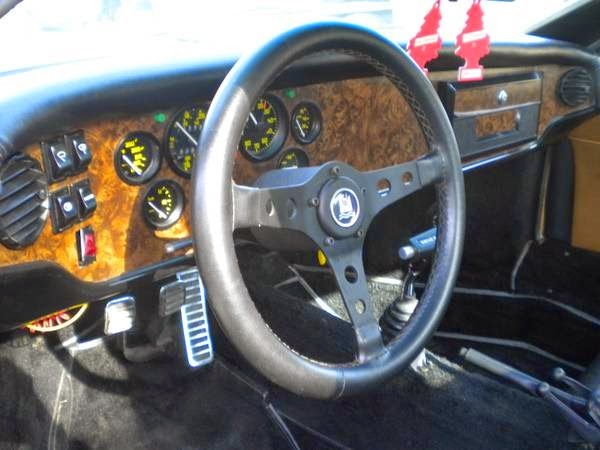 The door handles are from a Triumph, like a TR7. I've got a Kelmark GT and several AMCs. The door handles aren't the same. Hell, it comes with twin air fresheners! Don't find that on most cars. Mmmmm, do I smell dead rodentia? I would buy that and put a Fiero body on it. In fact I am going to start building Fiero backdated kit cars. Well....it should be lowered about 3 to 4". That would be a start. The contour keeps looking better and better. Has anyone near Omaha or Sidney IA inspected this car? Has anyone owned a Kelmark GT before? I'm wondering about the handling and drive and overall quality. 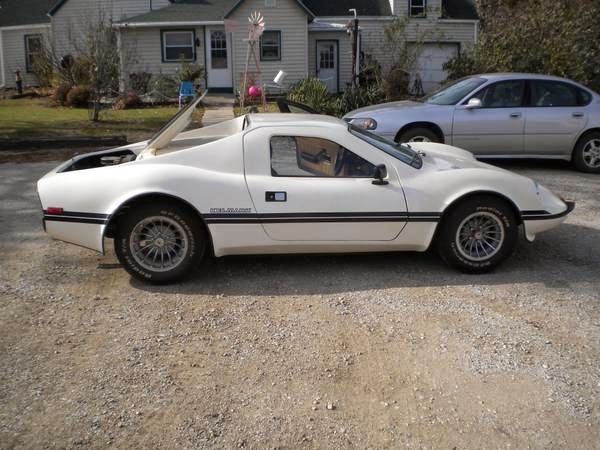 Is this old school kit car worth $5K? Anyone near Omaha or Sidney IA seen this car in person? Has anyone owned one of these and can comment on the car's performance?